GE engaged and educated the WIRED community through compelling content culled from GE’s health database. 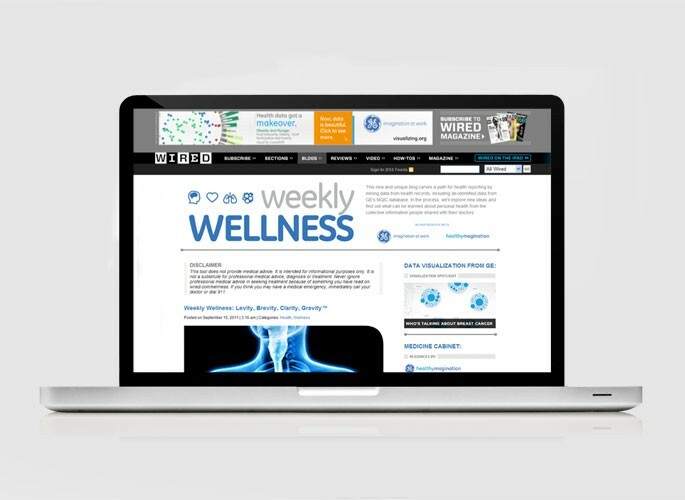 WIRED developed the Weekly Wellness blog, providing a weekly dose of informative and cutting-edge health solutions. Digital: Authored by two renowned medical professionals, WIRED launched a custom environment that showcased content spanning a variety of personal health topics. 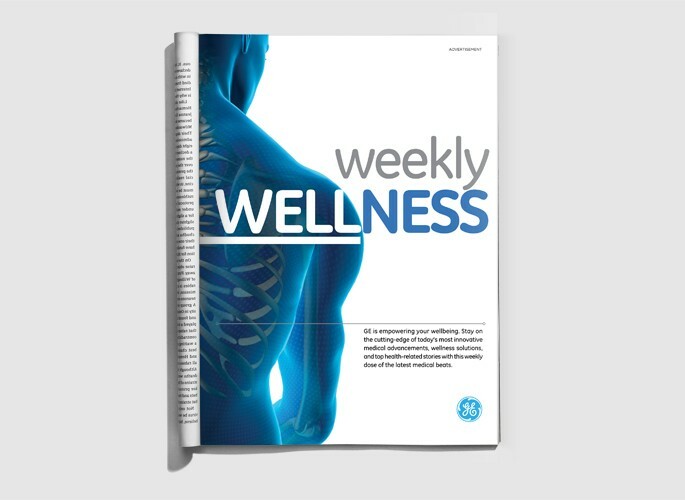 Print: A custom insert series spotlighted key content from the Weekly Wellness blog. 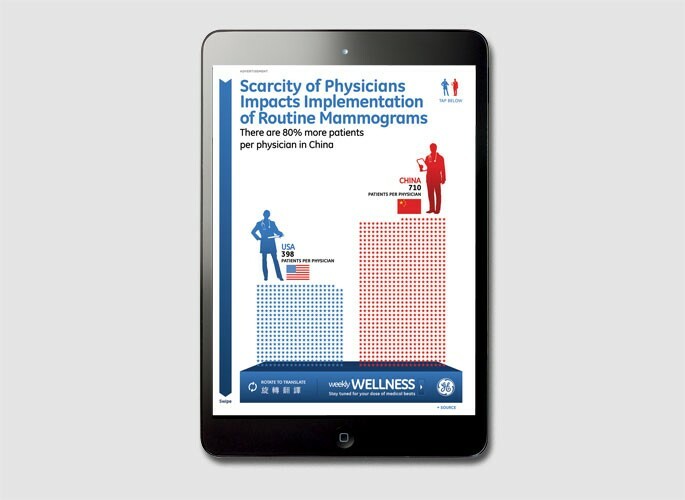 Tablet: Two premium plus executions adapted select blog content into interactive and engaging information.